Before you file your business tax return with the IRS, ask yourself: If I had to prove these deductions, could I do it? If you aren't sure you can prove it, don't deduct it. It's great to be able to take tax deductions for all of your business expenses, but it's even better to be able to prove those deductions in an IRS audit. If you have a competent tax preparer, this person will ask to see all of the documentation on your tax deductions. The most important fact to remember is that you must be able to show not only that the transaction took place, but that it was for a business purpose. You buy an all-in-one printer from Best Buy for your business. You write a check from your business account, or you use your business credit card. So, that's enough to show it's a business expense, right? Actually, no. Saving your canceled check or your credit card receipt is only one part of your proof. The canceled check doesn't show what you bought. Using a credit card is better because the receipt shows the purchase. Including the cash register receipt with your canceled check is also needed, to show what you actually purchased. Paying expenses from your business bank account or a business credit card works the same way. Of course, you should be using a separate business checking or savings account or business credit card. While the use of your personal accounts isn't necessarily a problem, it makes it harder to prove that this personal check was used for a business purpose. When you first start your business, you may have to use a personal account for a few items. For example, if you form a new LLC you will have to use a personal check for the registration in your state. When you use a personal account for a business purpose, be sure you have plenty of documentation. In this case, printing out a receipt from the state secretary of state that showed you paid for an LLC registration is sufficient. It would be pretty difficult to believe this was for personal use. The purpose (business or personal) as specifically as possible. If you want to make it easier, note the mileage on the car on January 1 of the year, and then note the mileage only for business purposes. 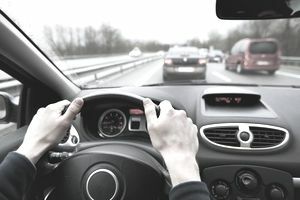 To deduct business mileage expenses, using either the standard mileage deduction or actual expenses, you must show that you have used the car at least 50% of the time for business. If you are attached to your smartphone, try a mileage app or expense app. It will save you lots of paper and keep your expense log online. Finally, remember that commuting travel (going back and forth to work) is not considered a deductible travel expense. While you can keep track of commuting expenses, don't include them in your business travel log. In addition to a mileage log, if you travel for business you will need to keep track of receipts for expenses. These expenses, like mileage, are closely looked at by an IRS auditor, because it's easy to include personal travel expenses with business travel. The best way to prove business travel expenses (including hotels, flights, rental cars, meals, and entertainment) is to use a credit card slip (using your business card, of course) with additional notes on the business purpose. Make the note at the time you incur the expense. You could also use a day planner, appointment book, or calendar to note business travel events, then tie them in with your receipts. Let's take a closer look at that all-in-one printer you purchased. The printer can also be used for personal printing, and the IRS categorizes these types of property as listed property. They are on a list because they can be used either for personal or business purposes. The IRS requires a higher degree of proof of business use. You must specifically document how you use listed property. The best way is to keep a log with the piece of property (like the expense log described below). Every time you use the printer or other listed property, note the date, usage (number of copies, for example), the specific job (printing copies of a brochure for business") and whether the use is business or personal. Also note costs associated with the printer, like cartridges. At the end of the year, you should be able to show the percentage use for business and then assign that percentage to costs. For example, if you find that you have used the printer 60% of the time for business, you can take 60% of the costs as a business deduction. As a reminder, if you have the property at your business location (not your home office), you don't have to keep a log. All use at a business location is assumed to be for business purposes. Let's say you lost the credit card slip or you don't have the canceled check for that printer purchase. You can use a bank statement or credit card statement to prove a business purchase but you will also need additional verification, from an appointment book, calendar, or day planner. If there is any doubt about whether some expense is for business purposes, it's best to have several ways to prove the expense. Finally, the records you keep on these business expenses should be part of your overall business record keeping system.